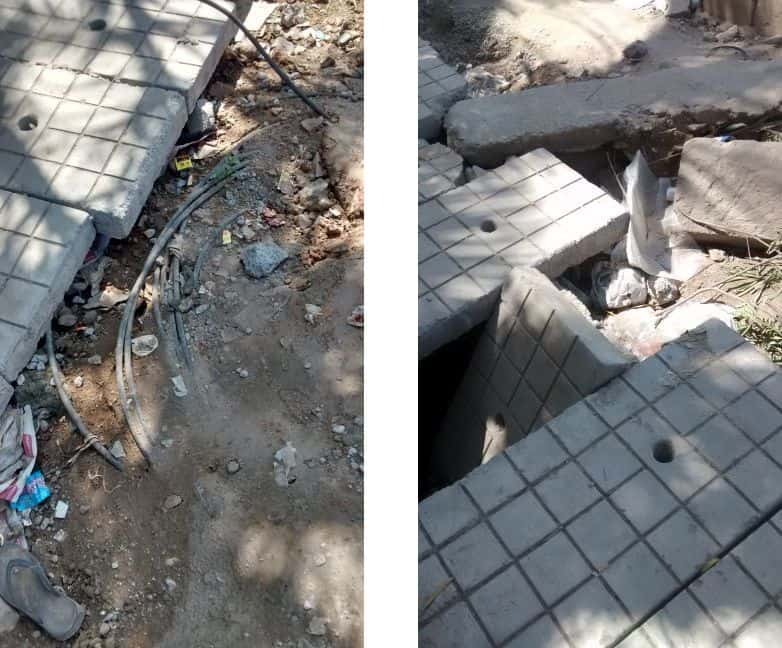 On October 6th, eight-year-old girl, Geethalakshmi who was in Bengaluru for her Dasara holidays, was washed away, after falling into a four-feet wide open drain on a footpath near Bilekahalli. Her body was found in the Madiwala lake after two days. The incident fired up the anger of citizens towards BBMP’s maladministration. After this incident, BBMP promised to repair the footpath. In a PIL related to the incident, the High Court rapped BBMP and gave a deadline to repair all footpaths, and finally things seemed to be moving in the right direction. “Mr Modi symbolically took the broomstick to clean the country, but sadly people have taken it as a mission to clean the country for a day. Every day, we find some organisation or the other taking the broomstick, without a thought on sustainable corrective and preventive action. Here are pictures of the footpath in front of Janardhana Towers, the main link to Bilekahalli market for the citizens of the Ranka road. Sadly, even after a child has given her life in the vicinity, and a month after putting the materials in place, the work is not completed. The footpath in question is not even 100 feet long—with what efficiency is our government working? If the culture and mindset of people don’t change, nothing can change in our country. It’s about time everyone focuses their efforts to make sustainable changes in small pockets, instead of wearing t- shirts and caps and taking the jhadoo for a day for media attention. 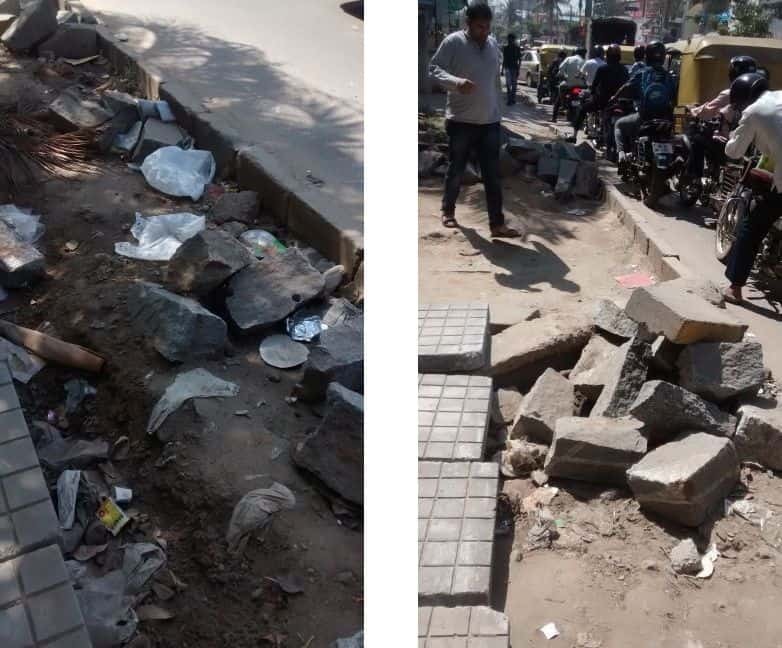 Though everything is ready and the materials are in place to begin the repair work on the footpath, the BBMP is strangely delaying the work, continuing to put the life of pedestrians in peril. Citizen Matters tried reaching the authorities concerned, including Roopa Ramesh, Councillor of Bilekhalli ward and Sarvothama, Assistant Executive Engineer of Bilekhalli ward, to enquire about the delay, but there has been no response so far. 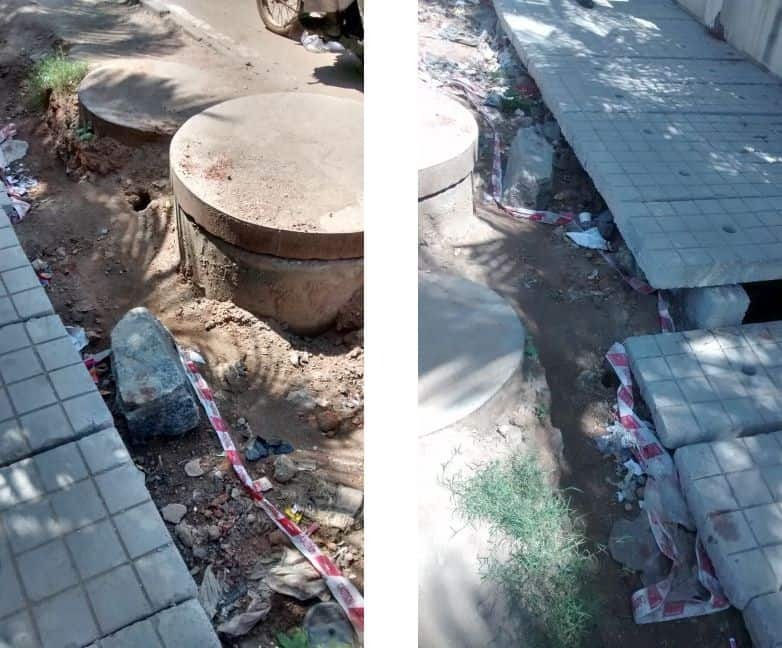 On calling the BBMP Commissioner, Lakshmi Narayana, he asked for a message to be sent with details of the footpath and road in question, and stated that if work has not already been done on the footpath, he would follow it up with his team. ​It remains to be seen whether the BBMP will keep its promise, and how many more days it will take to close this drain. When is a footpath not a footpath? A new theatre group’s debut production, Badal Sircar’s Beyond the Land of Hattamala.